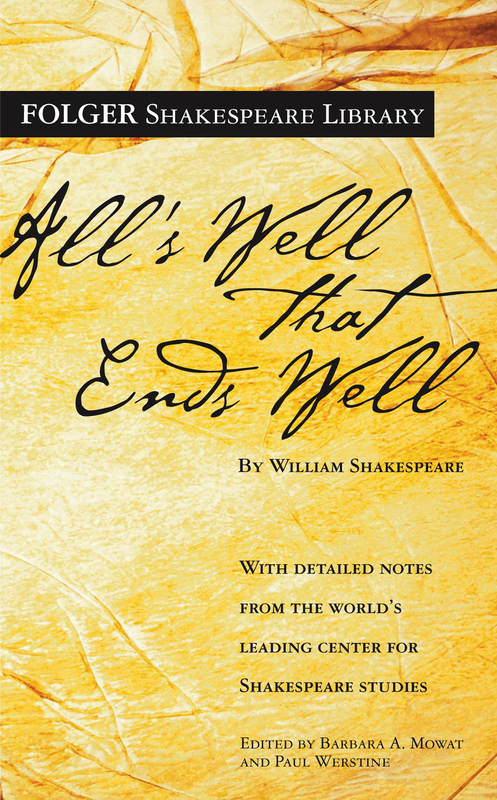 Shakespeare’s All’s Well That Ends Well is the story of its heroine, Helen, more so than the story of Bertram, for whose love she yearns. Helen wins Bertram as her husband despite his lack of interest and higher social standing, but she finds little happiness in the victory as he shuns, deserts, and attempts to betray her. The play suggests some sympathy for Bertram. As a ward to the French king, he must remain at court while his friends go off to war and glory. When Helen cures the King, he makes Bertram available to her. To exert any control over his life, Bertram goes to war in Italy. Helen then takes the initiative in furthering their marriage, undertaking an arduous journey and a daring trick. Few today, however, see a fairy-tale ending.